A day after Delhi’s special representative for Kashmir Dineshwar Sharma concluded his second visit to the embattled state, the security establishment began ‘celebrating’ a record of sorts. On November 30, five militants were killed in two separate encounters in Pakherpora and Sopore belts. This raised the tally of slain militants to 200 in 11 months, described by police chief Shesh Paul Vaid as a ‘landmark achievement’. This is the record kill year after 2010. There is no coincidence between the killing of militants in hinterland and interaction of Dineshwar Sharma with select individuals and groups of people in Central and South Kashmir. The outgoing commander of Srinagar-based XV cops, Lt Gen JS Sandhu, also security advisor of the Chief Minister heading the Unified Command Headquarters, has said that «dialogue and operations will continue concurrently». The security apparatus is fully authorized and geared up to track down militants. While the operations continue at a crucial stage when militants are constrained to abandon their hideouts in the forested areas and descend down to manage winter within the populated areas, the political establishment is desperately seeking a searching for the lost toehold. On November 29, Mehbooba Mufti approved the withdrawal of charges against 4,327 youths booked in 744 cases of law and order violation. A high-powered committee headed by police chief recommended the cases. These are among the thousands of people, predominantly youngsters, who were booked in three anti-India uprisings since 2008, mostly on charges of stone-throwing and damaging public property. On the face of it, these carrot-and-stick measures have left an impact on the ground situation. Seemingly, the population is under control. There are no mass protests and people somehow are busy with their bread and butter issues. The Corps Commander has explained this situation rather candidly. «We had to take very strong measures against stone-pelters, and many of them were picked up and booked. We also interacted with many youth groups, engaged them, attempted to reduce their anger… We also started initiatives to skill them,» he told a Delhi-based newspaper. The potential ‘troubled’ belts face a communication blockade, within minutes after some untoward things happen. Despite these measures, the swell of people at funerals continues. The army had to resort to aerial firing at Luraw Jagir in Tral where a teenage militant Adil Chopan had died two weeks ago. The army is fanned out in every nook and cranny of Kashmir. Post-Burhan Wani killing in July 2016, additional brigades of the army were deployed in the hinterland. In certain places that had witnessed the withdrawal of garrisons, new camps were established, quickly. With the advent of new technology, the army is monitoring movement of people in deep forests and orchards while the Casiper vehicles enable the troops to dominate the areas at any given time. In south Kashmir, the armoured vehicles are seen on the roads even in the dead of night. This gives the army more leverage of interface with the common people. Even as the people by and large avoid contact with the army, the troops’ predominant presence enables its officers to gauge the ground situation rather effectively. The alienated politicians, generally approached or swarmed by favour-seeking individuals or groups, make mistakes in judging the people’s pulse. It is in this backdrop that General Sandhu does not expect miracles despite killing a record number of militants. «I do not expect miracles, and I do not expect quick results. It will take us several years,» he says. It is time and again proven that the threat to Indian establishment in Kashmir is not militancy but the hatred of people against it. The security establishment and the pro-India groups call it alienation. There have been fewer initiatives, often laced with motives, to remove the ‘alienation’. Mehbooba Mufti’s latest announcement has not ruffled many a feather, maybe, because the amnesty beneficiaries will take time to appreciate its import. Nevertheless, the process can yield results if its scope is widened. Why can’t the state government initiate the probe against the established cases of 2016 where innocent civilians were killed in cold blood? There are countless cases in which all kind of evidence is available. 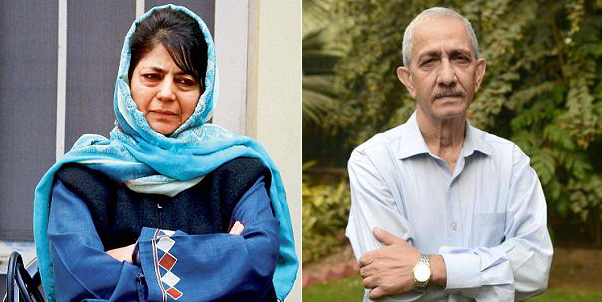 Mehbooba’s predicament is that her coalition partner has linked Kashmir with its electoral politics. With Gujarat elections round the corner, there is no scope for any initiative like the release of political prisoners or engagement with the separatist groups. This is the reason that Sharma categorically turned down the possibility of releasing the political prisoners. Instead of releasing the Kashmiri prisoners, there is the occurrence of incidents like beating up inmates of Tihar Jail. Sharma’s second visit has not been dissimilar to his first. He may be frequenting the state quite often in coming weeks but it won’t impact the ground situation until major initiatives are simultaneously initiated. It seems, therefore, that the people who have pinned some hope on Sharma’s appointment as ‘interlocutor’ will have to wait till the Gujarat polls are held.